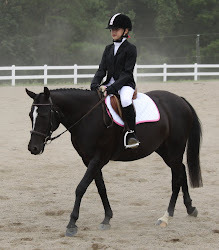 Just a reminder that our first clinic of 2013 is this Sunday and Monday with Lauren Sprieser. Here is the final schedule with just a couple of small changes from the previous version! I apologize in advance to the auditors for having to watch me ride so many times – I’m taking advantage of the light load and having a little boot camp session with Lauren.